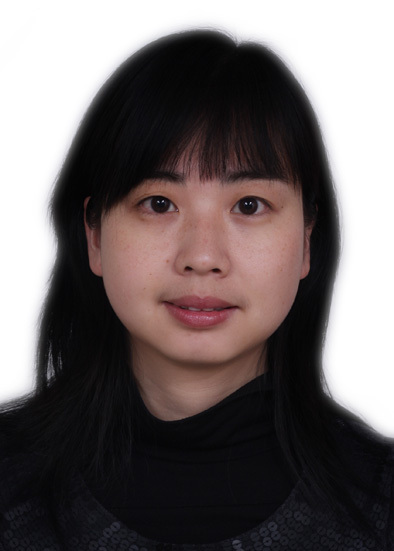 Ms.Wang graduated in 1998 from Institute of China Social Science Academy with a Master Degree in Economic Law. ◆Career Experience: Prior to establishing Wang & Associates as and senior partner in 1994, she educated and practised IP law in the United States of America and was also headed another intellectual property law firm for year in China. ◆Profile: Ms.Wang is fully involved with experience in all aspects of IP work in China including industrial designs, trademarks and patents prosecution and registrations, copyrights, litigation, oppositions, and technology transfer and has been representing many international and domestic clients on various IP matters before the Chinese Trademark & Patent Offices and Courts in China. Ms.Wang is an active member and attendee with AIPPI, INTA, LES and China Law Society and frequently traveling abroad visiting foreign clients and associates throughout the world. She authored the article Latest Developments in Trademark Law published by MIP on China IP Focus 2004. Mr. Li Zhongkui is experienced in patent agent, scientific research, judicial identification and IP management of enterprises. He utilizes these experiences for better development and implementation of enterprise patent strategy, for better communication with technical inventors, for better protection with full range of intellectual property of enterprises. He has handled about 100 cases of patent application and about 20 cases of patent reexamination, invalidation and litigation. He has provided patent agent service for Datang Telecom, Alibaba, BOE, ZTE and so on. One of patent invalidation cases was selected as Top 10 Case of 2012 by Patent Reexamination Board. In a administrative petition, he successfully discharged an invalidation decision which has been selected as Top 10 Case and reversed an examination standard of the Patent Reexamination Board. He has ever been invited to provide patent training by domestic famous enterprises such as Haier Group, Hisense Group, Fiberhome network, Chery, WISDRI, Huake laser, and Japan Patent Agent Association, Japan electric chemical Co., Ltd. He was also invited to attend the Expert Seminar on the Fourth Amendment of Patent Law held by SIPO. He knows patent rules in US, EP and JP very well. Mr.Wei obtained his Bachelor of Arts in English in 1993 and received his law education in 1997. 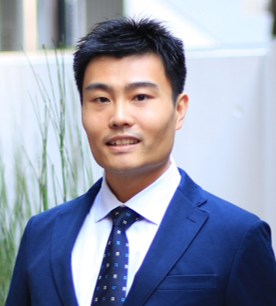 ◆Career Experience: After graduation, Mr.Wei worked as a Trademark Attorney in another IP law firm for years and became the partner of Wang & Associates in 1994. ◆Profile: Mr.Wei specializes in industrial designs, trademarks and copyrights registrations, IP enforcement and litigation. Mr.Wei is a member of AIPPI, INTA and LES. Mr.Shen graduated in 1989 from People's University with a Bachelor of Law Degree. ◆Career Experience: After graduation, Mr.Shen was assigned as a government officer supervising marketing management work with the State Administration for Industry & Commerce for two years. Prior to joining Wang & Associates, Mr.Shen worked as a Trademark Attorney with another IP law firm in China for three years. In 1994, Mr.Shen became a partner of Wang & Associates Specializing registration and prosecution of trademark, litigation and domain name registration. ◆Profile: Mr.Shen is a member of INTA and LES. Ms Pan Jun is experienced in both patent agency and technical enterprise. She utilizes these experiences for better development and implementation of enterprise patent strategy, for better communication with technical inventors, for better protection with full range of intellectual property of enterprises. She has handled more than 500 patent application cases for Huawei, Alibaba, China Mobile, ZTE, Datang Telecommunication, BOE, Xiaomi, Founder, Fujian Star-net Communication, Gridsum, Foton, Yongche, Qihu360. She is experienced in drafting patent document and responding to OA. She knows patent rules in US, EP and JP very well. Mr. Wang Shen is experienced in patent agency of both China and Japan. He can communicate with clients fluently in both English and Japanese. He has handled more than 500 patent application cases for TD Tech Corporation, China Unicom, Fujian Star-net Communication, SKK, BOE, China North Vehicle, Xi'an Kingtone Information Technology, Huawei Technologies, TSUBAKI Chain in Japan, Ace Technology in Japan, BOE Optoelectronics, ECP Development In Germany, UBE, Beijing University of Aeronautics And Astronautics, Qiqihar Rail Transportation Equipment, Nikon, Invenlux in US, Fran Haushofer Transport in Germany, Advantest in Japan. He is experienced in drafting patent document, responding to OA, translation in English and Japanese. He knows patent rules in US, EP and JP very well. Especially, he can provide a convenient route for Japanese patent application.